Hugh Holland Photography Exhibit / 1970s Street Life in small urban settings. Holland’s work comes to life via Mexican male figuratives / street and beach scene photography. Meet the Artist – Thursday, April 12, 2018 from 5:00 – 7:00 PM – Gallery 500, Downtown Palm Springs. Exhibit runs through May 15. 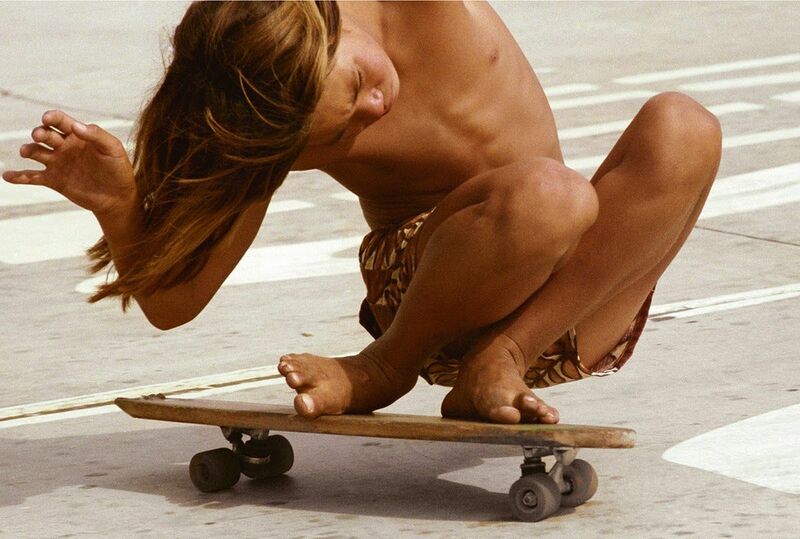 PALM SPRINGS, CA – As one of the first photographers to capture the emerging skateboard revolution of early 1970s California, Hugh Holland will forever be linked in our minds to the iconic images of young boys from Venice Beach with no shoes and no shirts – risking their skin on the streets and in the empty swimming pools. Holland’s iconic images chronicled the early days of skateboarding, establishing the punk/skater subculture. Years later, his images were closely referenced for the popular 2005 film Lords of Dogtown, starring Heath Ledger. 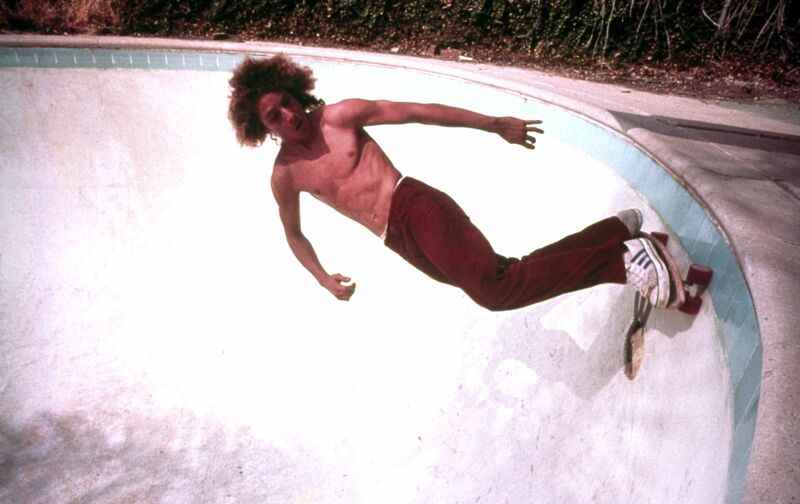 During the mid-1970s, Southern California was experiencing a serious drought – providing trespassing skateboarders with easy access to an abundance of empty swimming pools to practice their tricks. Hugh Holland spent three years in these suburban backyard haunts and on the asphalt streets that connected them – photographing these bleached blonde California teens with their tanned bodies, tube socks and Vans. He masterfully captured these young outsiders against the harsh and gritty – but always sunny – Southern California landscape. Almost 40 years later – Holland’s iconic photos live on to tell the story of a generation. His work was first shown at M+B Gallery in Los Angeles in 2006. Following the success of the show, his collection has been shown internationally and used in fashion campaigns for American Apparel. Among his fans are Elton John and almost anyone who has thumbed through the pages of his book Locals Only. What may be considered Phase II of Holland’s life work will be featured during a special limited engagement at Gallery 500 in Palm Springs. The time frame and subject matter is the same as the iconic Locals Only collection – but the geography is different. This show will feature male figuratives to tell the story of Mexican street life of the 1970s. IF YOU GO: Hugh Holland Photography Exhibit. Through May 15, 2018 at Gallery 500 inside The Five Hundred located at 500 South Palm Canyon Drive, Palm Springs CA 92264 at the intersection of Indian Canyon, Ramon Rd, and Palm Canyon Drive. Admission is free and open to the public. Ristretto is for Coffee Lovers offering an extensive selection of espressos, ice blended coffees, Affogato’s, Italian sodas, teas and smoothies, while guests can indulge their taste buds with an assortment of fresh-baked muffins, scones, bagels, cookies, oatmeal, fruit, sandwiches, salads and more. ABOUT ACME HOUSE COMPANY: Acme manages Luxury Vacation Rental Homes & Condos in Greater Palm Springs and the surrounding desert cities, catering to those looking to travel to the world-renowned destination for the season, week-long stays and extended weekends. Fabulous pool homes for when you and your peeps want some together time. Visit Acme’s Website to explore Palm Springs Vacation Rental Homes.